What is the legal action against Cheque bounce? If a person receives a cheque that comes out to be a bounced one. An initial complaint is made to the police station. The case is then forwarded to the public prosecution. After that, the matter is sent to the criminal court for further analysis. The person who is proved to be the criminal is given two options. Either they have to pay the money back or serve the sentence in jail. What if the person doesn’t pay back the money even after going to jail? If the person who files the case of the bounced cheque doesn’t get their money back. Even after sending the bounced cheque provider to the court. The case will further be taken to the civil court. The bounced cheque receiver files the case so that they may claim their money. But to do so they will have to acquire all the documents and present them to the court. Along with the evidence of the case. After the court trial, the bounced cheque recipient will demand from bounced cheque issuer. To either pay back the amount of money in the bounced cheque or else to face the jail terms. All of these matters are quite tricky and if in such circumstances you have not hired good lawyers in Dubai UAE, bounced check recovery is not possible and you will not be able to get your money back even after claiming. What if the person is still not able to pay back the money even after facing the jail term? If a person faces the jail after a court trial for issuing someone a bounced cheque. And still doesn’t pay back the money, they will not be able to get away with it. This is because the cheque issuer will not be able to escape the jail once sentenced. In case a person serves a complete term of sentence in the jail for issuing a bounced cheque. And still, do not pays the money back, then they will be able to get released from the jail. This will happen only in case the complainant doesn’t file the case against that person for a second time for bad debt recovery. This is because once the person has completed the jail term as a result of a court case. And no other case is opened against them It is then they will be free to leave the country. And even get their passport back. But if the complainant files the case for a second time for debt collection, the issuer will have to go back to the jail again or pay back the money. Are all the partners and stakeholders liable for the bounced check recovery issue? No, not all of the partners and stakeholders of the company will be held responsible. If someone receives a bounced cheque from their company. The person who has signed the cheque will actually be held responsible if the cheque issued gets bounced. The private funds of people in partnership have nothing to do with the cheque. And only the assets of the company will be used to clear the payment of the cheque. What will happen if the owners of the company flee away? If the issuer of the cheque flees away, the complainant can file a complaint against the company’s owners or its managers. The case will fall under the category of criminal offense and even if the manager or the owner runs away to a different country, the case will proceed. Also, the name of the manager will be added to the wanted list of Interpol as the court issues judgment against the manager or owner of the company. What can the managers do in order to avoid cases regarding bounced cheques? One of the most important things that the managers should do in order to be on the safe side is keeping the copies of the cheques they sign. This will give them a secure end and they will not have to face any court trial in case the receiver is the culprit. Why is keeping the copy of the cheques so important? When you sign a cheque, you become liable for it. No matter whether the cheque gets bounced or not, you will be held responsible for whatever happens to the cheque. This is why it is important to keep the copies of the cheque with you. so that you can provide evidence whenever any problematic situation arises. Keeping a record is important as a record of the check, unpaid invoices… but it helps you gain insight regarding your pending dues which you have to pay. Handling the legal actions is not as easy as it sounds. Handling legal action requires a lot of time and money and if the person gets jailed, the trail becomes even huge. So, keep a check on whatever happens around you or with you because in any criminal case, you would be possessing some evidence to play your part at least. This would be beneficial for your own company and self. 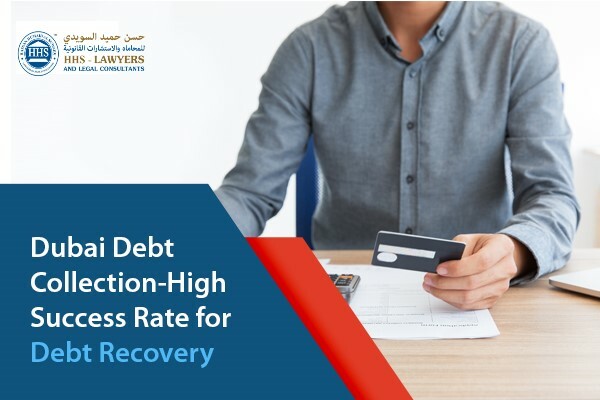 HHS Lawyers offers professional debt recovery services is one of the top law firms in Dubai. We have more than 10 years of experience that gives us the edge in performing. 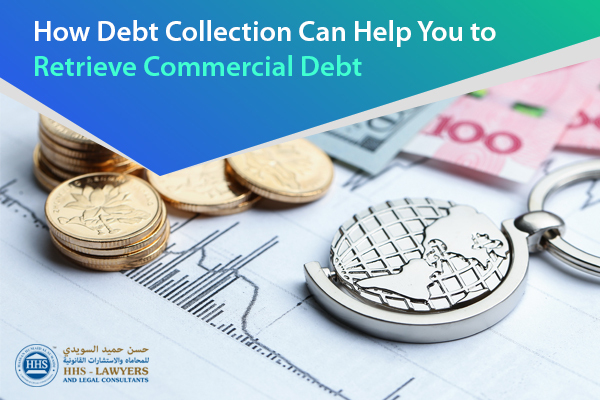 We can act as your debt collection agent or debt collector to increase your chances of recovering your debt collection UAE before it’s written as a bad debt. You can contact us now and book a free consultation with one of the best lawyers in Dubai regarding your situation so it can be given solutions to now. Previous Post Remove Labour Ban Status in UAE Next Post How to choose the best divorce lawyers or attorney? Find right here! 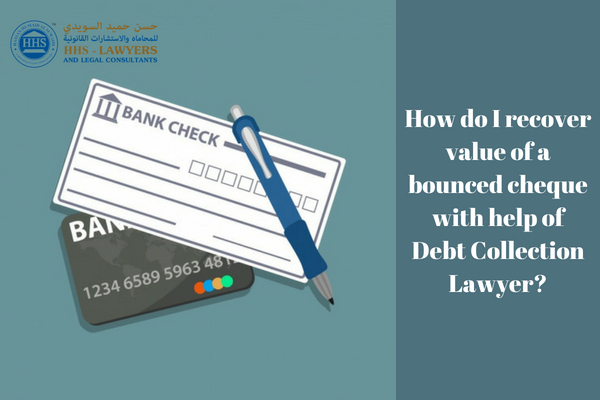 How do I recover value of a bounced cheque with help of Debt Collection Lawyer?